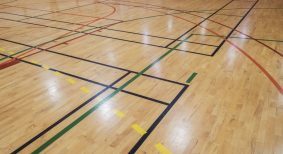 Here are some floor care techniques to help maintain a gym floor. 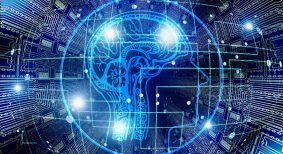 The IT Community of IFMA is often asked how to get started with IT in facility management and how to develop a long-term strategy for FM IT solutions. Partnership to support workplace psychological health in Sask. A Drug Identification Number (DIN) is an eight digit number assigned by Health Canada to a drug product prior to being marketed in Canada. 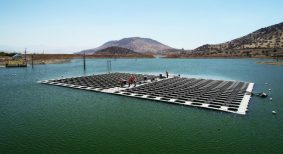 Chile’s innovative floating solar project on AngloAmerican’s tailings pond is expected to generate up to 153 MWh of electricity per year. 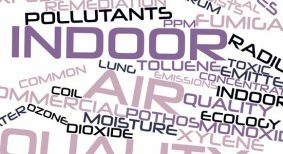 To achieve healthy indoor air quality, various measures can be applied, among which thorough and systematical air quality monitoring is the vital one. With 2017 underway, Ontario-based companies must now enact specific requirements to ensure accessibility for employees and customers. The Accessibility for Ontarians with Disabilities Act (AODA) previously rolled out a number of policies under the Integrated Accessibility Standards Regulation (IASR), and many facilities have yet to comply. But as of January 1, certain organizations must implement another round of requirements related to public spaces, public information and employment practices. With all this in mind, it’s important to consider how changes affect facilities, as well as the maintenance and cleaning companies who service them. AODA legislation passed in 2005, along with the Ontario Building Code (OBC), has pushed more facilities to accommodate disabilities; however, such achievements are meaningless if the environment is obstructed. Functionality can become lost if there is little training and maintenance supervision. Smaller organizations in the province with fewer than 50 employees, including those who provide goods and services or facilities, must now comply with specific standards under the IASR. These include a number of employment practices, such as making public information accessible when asked and making public employment practices accessible, including how companies hire, retain and provide career development opportunities to workers. This includes adding notifications on job postings. Individual accommodation plans and updated workplace emergency response information must also be available. Second, large private and non-profit organizations (50 or more employees) must now follow policies to make new or redeveloped public spaces accessible. Organizations with less than 50 employees are omitted from certain requirements, but have until January 2018 to do the same. Yet they should already be working towards this goal. The Design for Public Spaces Standard applies to seven areas: parking lots, outdoor public areas, outdoor play spaces, exterior paths of travel, service counters, fixed waiting lines and waiting areas with fixed seating and maintenance. Maintenance of such spaces, therefore, is directly connected to ensuring Ontario reaches its goal of becoming fully accessible by 2025. Lastly, organizations with 50 or more employees are reminded that they must submit an online compliance report by December 31, 2017, affirming continued compliance with the AODA including your Multi-Year Planning document. Failure to file could result in forced inspections, penalties, prosecutions or fines. This applies to the public sector every two years and a not-for-profit or private business every three years. Tactile strips outside a facility must be easily accessible and clear of seasonal elements. As of January 1, 2017, large non-profit and private organizations of 50 or more employees must adhere to policies for building new public spaces or making planned significant alterations to existing ones. This deadline has already passed for smaller organizations. Along with this, actions to keep spaces in working order, including painting, minor repairs, environmental mitigation and even snow removal, should not interfere with accessibility for any parts of a facility. Building audits in Toronto during the winter have revealed that snow removal procedures at some facilities with limited exterior space resulted in snow being dumped near accessible entrances and exits. 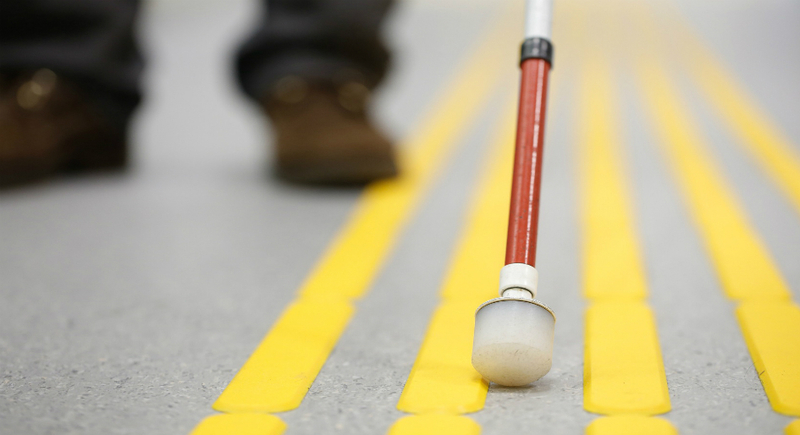 In addition, notification signs, such as disruption of service, should not be placed in walkable areas, as they create obstacles for individuals who are blind or have low vision. In regards to the interior of a building, we often discover that the built environment is fine, but the actual maintenance renders it inaccessible. Patio furniture placed in a Toronto cafe restroom during the winter is just one recent example, and maintenance workers should be mindful of such oversights in exterior public spaces, as well. There are several requirements within this standard that directly affect facility maintenance workers, including outdoor eating areas and exterior pathways. Outdoor public use eating areas could include outdoor food courts or picnic tables on hospital grounds and university campuses. Large organizations that plan to build or renovate these areas need to ensure that 20 per cent of new tables added are accessible and that the ground surface leading to and under the tables is level, firm and stable to accommodate mobility aids. There should also be enough clear space so people can smoothly approach the tables. Yet another section refers to exterior walkways that aren’t regulated by the OBC. Again, large organizations and the public sector are targeted here, as they must ensure that paths of travel which are new, updated or maintained are in compliance. Among the many minimum requirements, clear contrast markings and tactile walking surface indicators on stairs, curb ramps and depressed curbs should be incorporated; visible and preserved, surfaces of ramps and stairs must be firm, stable and slip-resistant; and hand rails and guards must be provided to prevent accidents. Preventative and emergency maintenance procedures for all accessible parts of their public spaces, such as planning when regular maintenance occurs. For instance, the frequency of inspecting sidewalks for cracks. Procedures for handling temporary disruptions in service when an accessible part of their public space is not usable. For example, putting up a sign to explain the disruption and outlining an alternative. It’s the facility manager’s job to make sure maintenance staff is trained. Companies were trying to save money by training only employees who come face to face with customers; however, changes to the AODA’s Customer Service Standard, which were enforced July 1, 2016 and apply to all organizations providing goods and services or facilities, now require that all employees undergo accessibility training. 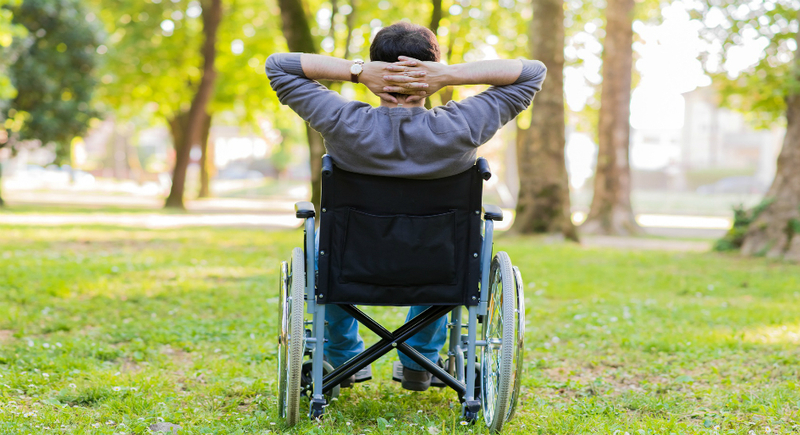 When writing an RFP or contract, facility managers should make sure vendors and contractors submit proof that everyone coming on site has been trained in the AODA. They should also ensure vendors have policies and procedures in place for AODA. If a cleaning company does not have such training, facility managers could be held liable for not checking. Not only is training now mandatory, but contractors would be wise to have proof readily available for competitive purposes. About 37 per cent of companies in Ontario are in compliance, a low rate, especially since the AODA was launched 11 years ago. Companies need to play catch up or face a human rights complaint—and potentially a tribunal. Basic training can be found on the AODA website. Facilities whose workers have a great impact on people might also consider securing extra training through e-learning or from outside experts. Overall maintenance and cleaning contractors or staff need to understand how to spot specific issues and understand why it matters where equipment or supplies are placed or why certain cleaning products should be selected or evaluated to protect individuals with environmental sensitivities—a disability under the Human Rights Code. Many people may not be aware that there is a significant political interest in having a national standard for accessibility, rather than taking the current piecemeal provincial approach. Starting in July 2016 and wrapping up in February 2017, Sport and Disability Minister Carla Qualtrough has jumpstarted public discussions across Canada about the proposed Canadians with Disabilities Act (CDA). This was a campaign promise by Prime Minster Justin Trudeau and is now in full swing. Once all the public meetings and consultations wrap up at the end of February, all this information will be reviewed, summarized and available to the public and businesses. Our best predication as a specialized accessibility firm is that we will see the roll out of national legislation most likely mirroring the unique AODA in Ontario. We will provide further updates about the progress of the CDA as it will impact companies who have a national presence across Canada. Summer is the perfect time to deal with outdoor maintenance projects. Here are some tips from Elite Trade Painting's Mike Benteau on where to start. Adopting and following a regular floor maintenance schedule and sourcing easy-to-use products to help sustain the look of any finished floor. Public perception can make or break a business, especially at large facilities where a great first impression and good experience help ensure repeat visits. Alliance Building Services is using cordless backpack vacuums to improve cleaning safety, especially with day porters cleaning around building occupants.